As I write this column, Grand Marais is wrapping up its first annual Hygge Festival (Feb. 9-15). Pronounced hoo-gah, hygge is the Danish ritual of “embracing life’s simple pleasures,” particularly those in the snow-covered North. Skiing through tree-lined trails, a moon-lit night hike, relaxing next to a fireplace to watch a Celtic music show at a local craft brewery—these were just some of the events offered during the festival to savour the splendor of winter in celebration of the North. Life in this region isn’t always comfortable for us Northerners. Winter can be downright bitter. It’s not uncommon to smear Vaseline on our cheeks when we’re walking on a cold, blustery day. Or to bore through 20 inches of ice to reach water and drop a fishing line, only to have it freeze over in minutes (unless you have a handy slotted spoon to scoop out the invading slush). And what compels us to live in—let alone enjoy—a climate that calls us to plug in our vehicle overnight so we can rest assured it starts the next morning? In spite of these challenges, life in the North has its mercies: the heat of an outdoor bonfire, the warmth of a wood stove, or a pile of wool blankets and a pair of cozy slippers. Living in the cold makes us appreciate warmth even more. Tried and true, one such refuge is the hot, steamy sauna. Cultures around the world embrace the ritual of sweating, whether it’s in a ceremonial lodge to meditate and connect with ancestral spirits, or simply to bathe and get clean after a hard day’s work. Sweating in steam opens the skin’s pores, relieves stress, invigorates the body’s organs and increases blood flow. 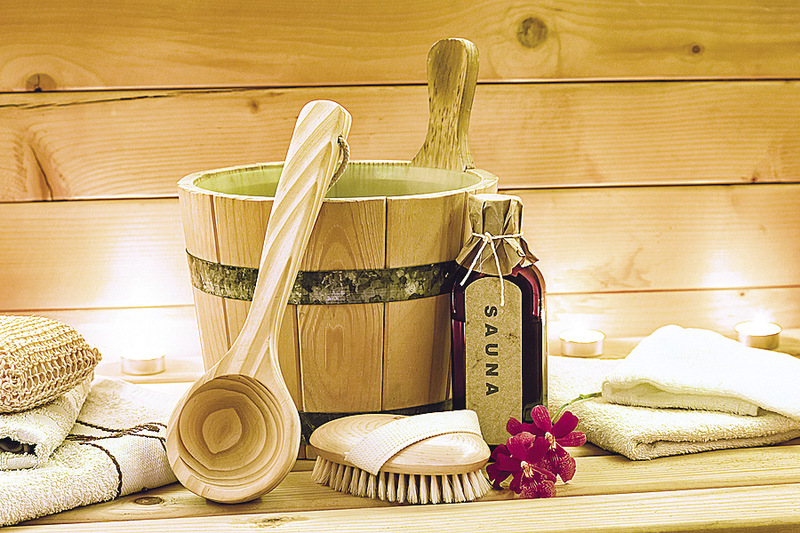 It’s hard not to feel renewed in mind, body and spirit after a long sauna session. While it’s estimated that the Finnish sauna tradition has been alive for at least a thousand years, the people of Finland brought the sauna to Canada and the U.S. around the 1870s, when immigrants began to settle in northwestern Ontario and northern Minnesota in large numbers along Lake Superior. The community of Finland, Minn. is a testament to this history and Finns currently make up about 12 percent of the total population of Thunder Bay—one of the largest concentrations of this demographic outside of their home country. “We had a sauna at least once a week—it was our main way of having a good wash,” recalls Pekka Torma, age 77, who still routinely saunas with his wife Marilyn in a lakeside home they built together near Thunder Bay. Along with six siblings and his parents, Torma immigrated to the community of Intola on the outskirts of the city in 1952. At the time, he was a teenage boy—old enough to remember bathing in the löyly, the warm envelope of soft-heated sauna steam, at his grandparents’ home in the years before he left Finland. “They had a sauna that was older style, what they call a savusauna, a smoke sauna,” he said. These types of saunas don’t use chimneys. Instead, rocks are heated over a fire in the room and the room fills with smoke as it is warming. The resulting steam created pressure in the room, which cleared the smoke out after a vent was opened in the back. As Finnish immigrants settled and carved out homesteads along the North Shore, their saunas were among the first buildings erected on the property. They were typically attached to a large dressing room that dually functioned as living quarters. “It was how a lot of Finns built their saunas. I remember in Finland, there was a cook stove in the dressing room beside the sauna, and when we would have a sauna, my mother would often make pancakes,” said Torma. At one time, saunas were revered as a sacred gathering space—the room served much more than a utilitarian function. People took to the sauna for medicine and healing during sickness, and to prepare for rites of passage throughout the course of life: for marriage, to give birth, and even cleansing after death, notes Dalva Lamminmäki, a teacher and practitioner of Finno-Ugric shamanic healing and medicine. After a day on skis, hiking the dog up a snowy trail, or doing anything outside in the winter, retreating to the warmth of a sauna is the epitome of hygge to me.